Venue Expo 2016 can without a doubt claim it’s finest year of education to date after securing some of the best keynote speakers in the country and is set to deliver it’s largest exhibition to date. 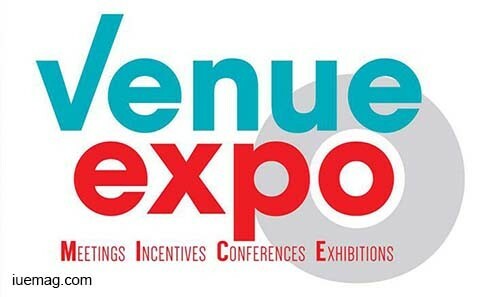 Venue Expo co-located with PA Expo will be bringing CPD accredited courses, networking sessions from some of the North’s finest institutions alongside a wide range of industry leaders. Included in this years education will be seminars and talks from the likes of people such as Jon Morter, the social media magnate behind the Rage Against The Machine to Christmas number 1 campaign, beating music mogul Simon Cowell’s X Factor twice and Hillsborough Tribute Single campaign who will be explaining the secrets behind his successes whilst also giving unprecedented access into how to fully utilise your social media. “Alongside Jon, we have talks from some of the country’s most pre-eminent speakers, these include talks from the likes of Susan Dolan, a google expert with over 20 years experience, Major Jon Cunningham MBE, a fundamental figure in the liberation of Basrah and now owner of STORM consultancy who will be delivering an in-depth look into the protection of venues across the country” comments Brett Bienias, President of UKFE. “We’ve made sure not to leave PA Expo out, confirming Adam Fidler, a PA guru with years of experience within blue chip organisations such as The Bank Of America & Boots. He will be featuring at PA Expo alongside a live panel from PA Life magazine and Pitmans Training ‘Entrepeneur Of The Year” Julie Jordan, it’s safe to say we’ve never been prouder of the range of seminars, workshops and masterclasses on display this year.” Brett concludes. There is a total of 47 seminars that will be running across the two show days, all of which deliver an unrivalled variety of high quality, content rich continuous professional development. Venue Expo co-located with PA Expo returns to the ECL Liverpool, 8th & 9th November 2016. Any facts, figures or references stated here are made by the author & don't reflect the endorsement of iU at all times unless otherwise drafted by official staff at iU. This article was first published here on 19th October 2016.